1255 large file records processed. of index $I30 with parent 0xdaf in file 0x13fb. Deleting index entry FO8B1D~1.DAT in index $I30 of file 3503. Deleting index entry FontCache-System.dat in index $I30 of file 3503. Index entry 7 of index $I30 in file 0x139aa points to unused file 0xed9b. Deleting index entry 7 in index $I30 of file 80298.
of index $I30 with parent 0x146a2 in file 0xe43d. Deleting index entry 5 in index $I30 of file 83618. Index entry 6 of index $I30 in file 0x149c4 points to unused file 0xe911. Deleting index entry 6 in index $I30 of file 84420. Recovering orphaned file ETWRTE~1.ETL (1626) into directory file 4434. Recovering orphaned file EtwRTEventlog-Security.etl (1626) into directory file 4434. Recovering orphaned file ~FONTC~2.DAT (5115) into directory file 3503. Recovering orphaned file ~FontCache-System.dat (5115) into directory file 3503. Recovering orphaned file ETWRTU~1.ETL (12272) into directory file 4434. Recovering orphaned file EtwRTUBPM.etl (12272) into directory file 4434. Recovering orphaned file 00695D~1.LOG (37676) into directory file 345660. Recovering orphaned file 0000000054-0000000000.log (37676) into directory file 345660. Recovering orphaned file MPB2F6~1.BIN (56542) into directory file 80216. Recovering orphaned file MpWppTracing-02262017-022121-00000003-ffffffff.bin (56542) into directory file 80216. Recovering orphaned file 823BA3~1.BIN (56543) into directory file 81823. Recovering orphaned file 823BA3E3-D796-4349-8F18-67F5591EA96C-0.bin (56543) into directory file 81823. Recovering orphaned file LASTAL~1.DAT (56573) into directory file 3503. Recovering orphaned file lastalive0.dat (56573) into directory file 3503. Recovering orphaned file LASTAL~2.DAT (57433) into directory file 3503. Recovering orphaned file lastalive1.dat (57433) into directory file 3503. Recovering orphaned file ETWRTD~2.ETL (57663) into directory file 4434. Recovering orphaned file EtwRTDiagtrack-Listener.etl (57663) into directory file 4434. Recovering orphaned file ETWRTM~1.ETL (57777) into directory file 4434. Recovering orphaned file EtwRTMuroc System Trace.etl (57777) into directory file 4434. Recovering orphaned file IMPSER~1.LOC (58259) into directory file 80199. Recovering orphaned file IMpServiceEDB4FA23-53B8-4AFA-8C5D-99752CCA7094.lock (58259) into directory file 80199. Cleaning up 1189 unused index entries from index $SII of file 0x9. Cleaning up 1189 unused index entries from index $SDH of file 0x9. Cleaning up 1189 unused security descriptors. 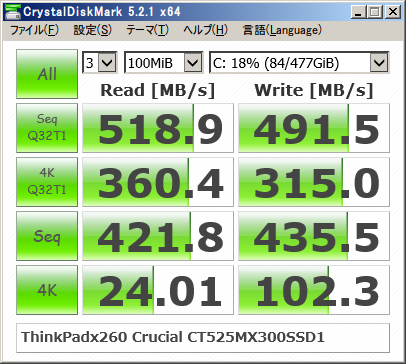 500607939 KB total disk space. 87084532 KB in 271998 files. 155308 KB in 51240 indexes. 488075 KB in use by the system. 412880024 KB available on disk. 125151984 total allocation units on disk. 103220006 allocation units available on disk. Powered by Pelican. Theme baseed on blueidea.